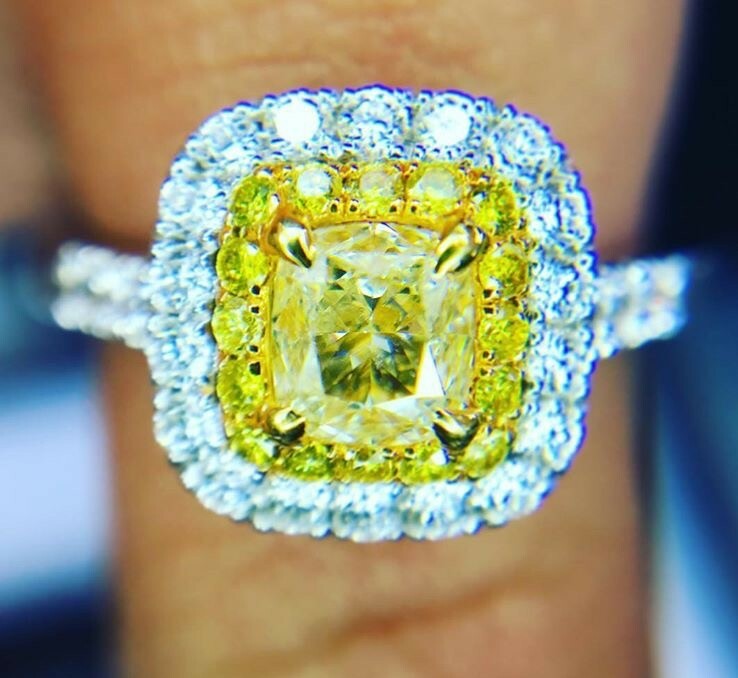 This extraordinary Coby Madison ring is created with a cushion shape 0.57 carat fancy yellow diamond center stone that is elaborately framed by 1 row of sixteen fancy yellow brilliant cut diamonds weighing 0.14 Cts. And one row of twenty six sparkling white diamonds weighing 0.43 carats framing this exquisite yellow diamond. 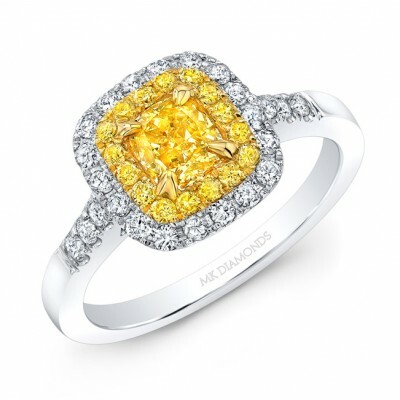 This hand crafted one of a kind fancy yellow diamond ring is sure to be cherished forever. Your special engagement ring will be coveted for its outstanding design for years to come.